El Portal Sedona Hotel is pleased to announce Crooked Figure Theatre’s return to Sedona August 3 and 4, 2018. William Shakespeare’s King Lear is the story of a diseased mind and heart that leads to the downfall of a kingdom. The incredible actors of Crooked Figure Theatre will be doing a staged reading of the play in El Portal’s secluded courtyard. Actors will be moving and interacting, with guests, but with scripts in hand. “Crooked Figure is focusing its work on representations of mental illness in Lear. We’re re-imagining one of the play’s character’s as a voice in Lear’s brain that results from his sudden recognition that he has, possibly for the first time in his reign, made a grave error that destroys his family. The guilt and grief that result from this decision, and the depression that Lear falls into, create space within his mind for a growing disturbance. We’re excited to explore these contemporary issues of mental illness within Shakespeare’s classic story,” says director Gutierrez-Dennehy. 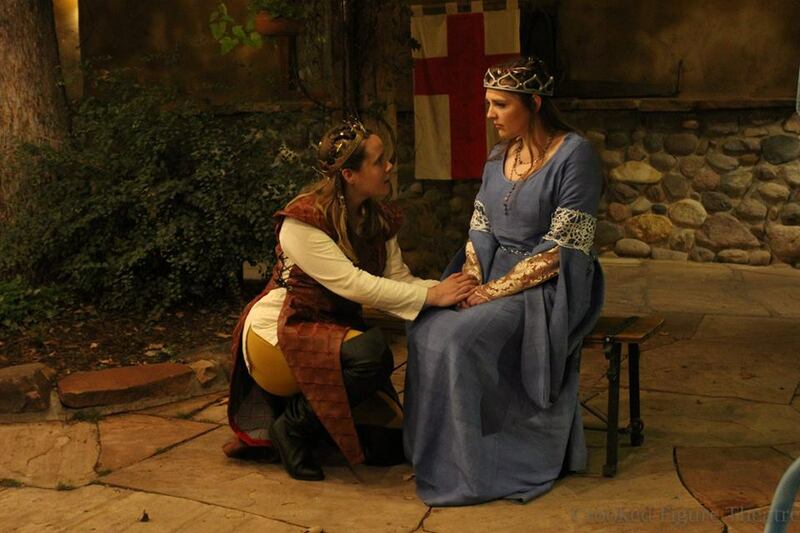 King Lear is 6:00 p.m. on August 3 and 4 at El Portal Sedona Hotel (95 Portal Lane, Sedona, AZ 86336). The production will be free of charge to the public. No reservations are needed; seating is first come, first served. Parking will be available at El Portal and in nearby lots, signage will direct guests to parking locations. 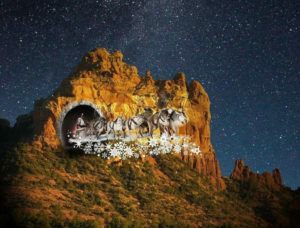 Celebrate the spirit of the holiday season in Sedona with USA’s largest Projection Show on a natural canvas: Sedona Northern Lights. This incredibly massive holiday light show will happen for only four nights, December 14-17, 2017, and will showcase Sedona’s profound beauty, thriving arts scene, dark skies, and enchanting landscapes. Sedona Northern Lights will bring together light, art and nature to create a festive and awe-inspiring, family-friendly experience. Thursday, June 6 at 5:30pm was part of the 7th Annual Sedona Bluegrass Festival, with a Bluegrass BBQ presented at the Segner Ranch adjacent to the original Thompson Homestead in Munds Canyon, an off shoot of Oak Creek Canyon. Featured were two of Arizona’s most celebrated artists, singer/songwriter/guitarist Peter McLaughlin and mandolinist/singer Mark Miracle who as members of the Sonoran Dogs entertained guests. The evening included dinner and beverage along with a 45-minute performance. Copyright © 2015-2018 El Portal Sedona. Site management: Triffet Design Group.